Hello Community. Recently, a group of us have gotten interested in getting together to have some fun role playing D&D adventures and getting to know new people. We haven't found much activity for D&D-based gaming and I wanted to see if within the glocals community there was an interest to form English-speaking role playing groups? We are a group of people from the Lausanne/Nyon/Geneva area. I guess this is coming a little late, but if you guys managed to form a group and are considering starting a new campaign, I'd be quite interested. Actually, we are about to start a new campaign. We'll probably play mid July and if you are interested then I can let our DM for this campaign know. Hi Tim! It's true we are not updating this thread at all, but there are a few things still going. Right now there is a campaign still on-going but we can keep you in the loop for the next opportunity. Some weekends there are one-off events if you are interested. What do you enjoy playing? I would be very happy to join one of those weekend events you menitioned Alfredo. Just want to throw my name into the hat too for an occasional weekend slot - I'm mainly playing Pathfinder these days but for a one-off run I'm open to playing pretty much anything. Same here. If you accept neophyte gamers count me in! Id be up for a one off . Usually free on weekends. I'm with Jonathan on this one - looks like we have 6 or 7 players all wanting to start... now we just need a DM! I used to love D&D! If someone is up for the challenge of organizing it, I'd love to join. Is there a glocals group for it, or you just update this thread? That will be great. I would DM but I am working as an intern full time as well as carrying 12 master's level Credit hours at the same time. I do have a digitized copy of 5E also. I would really enjoy playing a campaign a couple times a month, just not enough time to run one myself. Alright the group is up! Anyone playing dungeons and dragons?I use to play 15 years ago just want to try again after sometimes. I have never played that in my life. Maybe someone could bring that for Saturday language exchange at 4.30 pm, I'd be interested to try it out. Maybe it is a little late, but i am interested as well! Is anybody still interested in this? I'd be happy to play along some weekends. I don't think they still meet up. But if you'd like to start a group, I'm up for it. I would be interested, although I haven't played in quite a while! Mostly playing videogame RPGs at the moment. And then there were four. I've already spoken to Ollie about this, but what days and times are you all available to meet up? I'm available tuesdays and thursdays and saturdays in the afternoons and evenings. I don't mind DMing for our first campaignm but I think we should take turns being the DM, what do you think? I'm now planning the first adventure and making up the story behind it. If you don't have a character yet or need a refresher on the rules and game mechanics (I do, for sure), I found a good website with some resources that will help. Hope we can all meet up soon! Hi there! I'm available on Saturdays (any time), and could do weekday evenings only (depending on the location). Where should we meet up? I'd say at my place, but I'm out near Gex and I'm sure my kids wouldn't let us play in peace. So, afraid it'd have to be somewhere else. I would volunteer, but have a quite small flat and only a smallish round table, which certainly wouldn't be comfortable for anyone! I'm in too. I have a quite large apartment so we could do it at my place. I'm generally available on weekdays evenings after 7PM and on Saturdays. @alex: being a DM is not an easy task so I don't think we could take turns. We need to find an experienced DM and have him/her organize the campaigns. Excellent. I'm working on a campaign now, I think it'll turn out pretty good. I don't expect it to be easy, but I think I can do it. This one should be able to span a couple of sessions at least. I should have most of it finished before this coming weekend. Cool, will join it just now. Nice to see Alfredo's 2013 thread going strong. By the way you guys should know there is the glocals RPG group with 50 members. We have recently also started a whatsapp group for players who are looking for campaigns (Or DMs who are looking for players I suppose). It is not a campaign. Just a group for people who are looking to join one. You can join and post your info along what you are looking for, or join and join wait for Game master posts looking for players. *or join and wait for Game master posts looking for players. So, who's in for tomorrow? Time? Place? Sorry for the late reply. Unfortunately, I will be unavailable the rest of this month due to travelling. But I will keep an eye out for anything planned here in Nov.
i'd be too interested in DD or Pathfinder gaming. Hey everyone, So, I'm still down for this. I was hoping to DM for a campaign i was designing. if anyone is interested, I can finish up the campaign and DM it? I'll be travelling next week, so won't be around. but when I get back, I'll be ready for this. I can run a single-shot Stormbringer scenario on Saturday 28th, 7PM until late, 5 people max. Message me to you are interested. Characters will be pre-developed, and you will be able to chose from a selection within the group on the night. Unconventional, but works well for one-night adventures. 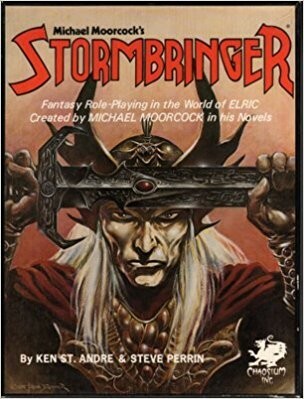 Doesn't matter if you haven't played Stormbringer or even D&D before. Not me, sorry I can play only the workdays. my son Liam who is 17 is interested in getting involved with D&D in Geneva. Do you know of a group who takes young absolute beginners? I'm Daniel, speakn French, English and Dutch in Geneva, would like to participate to a Dungeons and Dragons (or any role playing) is this possible ? I am unfamiliar with Dungeons and Dragons beyond having played it several times, but I am familiar with a different system based on adventure gamebooks which I have run a full campaign with. Would be happy to run a new campaign and introduce people to the system; message me if interested. I am also in for DnD or any RPG system. I have minimum experience but I am very interested to learn more. Does it make more sense to run some 1-shot campaign first to see how many members we can get? Can anyone be the DM? I can DM--I have done two campaigns as DM so far. I think 2 players minimum should work, but ideal number would be 3 or 4. I did post in the Geneva RPG group to get interest, but no takers there so far. Ok, people seem to revive such threads from time, also in Englishforum (lausanne region). Next time there are 1-2 people we can fix an evening to meet and try. I'd like to try, never played before. If you guys are interested, we could do a one-shot session of the Fabled Lands RPG system I know. We would just need a suitable place to play--a place that is quiet with decent lighting and enough table space. Happy to DM it and explain the (fairly straightforward) rules. Im in depending on work ofcourse. How much space do we need? I guess for 4 people, a spacious dining table for 4 works. Are you in for any evening 23th, 26th, 28th? Or shall I set up a doodle? The 23rd and 26th work for me. Yes, the doodle location and the parent-forum is Geneva. Or we could do two separate sessions and then unite for a third one if people are interested. Quite flexible either way. Looks like November 23 is the only date with three or more votes, so let's do a first session then, and we can set up a doodle poll for early December, so that Maria can join us for the second session. Where shall we play on November 23? Hello fellow gamers, what could be a better way to kickstart the new year than with a nice RPG! Anyone interested in starting a new D&D or Pathfinder campaign? Me too! Does someone have experience in being GM/DM in any game? Hi, nice to see there's other people interested! Seeing Chris comment I would say Pathfinder then :) Should we even try the new playtest? @Patroklos: I personally have not, how about you? Would you be interested in DM? Hey would be interested as well. Used to play until a few years ago here in Geneva. Pathfinder mostly. In the past played have played some other RPGs like DnD. I'm glad to see such interest in RPGs now! I had trouble finding people initially, but I've enjoyed playing with Daniel, Maria, and Patroklos, who I introduced to Fabled Lands (we are due to have our final session this Friday, as I'm leaving Geneva in a few days). Hope you guys find a great group! I do not have much experience really, has anyone been DM before? Replacing Justin as Grandmaster (^^) will be virtually impossible. Starting with a 12 on a 10 puts the ladder high. So it's 7 people, that is a big group! :) And if I understand correctly no one with DM experience, should we meet and figure out who wants to do it? Thanks for the initiative. Have voted. I have mostly played in the past, although I have DMed a few sessions. Only problem is that I am away most weekends, so more available during the week. If DM however I will need to use a prepared module, as do not have the time to put something together from scratch. Is there still space in the party? Thank you all for voting! The most liked date for our first meeting turned out to be on Thursday 14. @Carlos: good for me! As this will be our first meeting. I think we'll mainly go through our committments and get to know each other and oraganise for our first session, maybe thinking about some character, also since it will be the first game for some people. @Daniel and Maria: hopefully you'll be able to join for next time! (sorry Daniel I couldn't this Wednesday). @Hsien: So far we don't have a DM, so that's great with me! Also a prepared module is more than fine. P.S. I dropped to all of you a PM with my phone number so that we can keep organising over whatsapp, which might be easier. I live in Lausanne though, and it seems you're all mostly in Geneva? Did anyone come across any players (or better yet, a DM) in the lausanne area? We are just getting organised as a group. But are Geneva based unfortunately. You are welcome to join, but a bit far for you unfortunately. Maybe start a post on the Lausanne forum and see if there is interest? Hey everyone! I'd like to get a group started. I live just at the border in France. Getting to Geneva is super easy with the Voie Verte or tram or the other way around. I'd like to get a game started with 4-5 people. It would be nice to play during the week, in the evening. Send me a message if you're interested! I think it's easy to find players; my flatmate and I are both interested. It's the DM that is the rare bird. Hello, I would be interested (as player or DM). I could possibly run one ... if we can come up with a reasonable male - female ratio. Hi all, it is so nice to see so much interest! Glad to see this thread is still alive and well. I'd love to join sometime too, if you have patience to re-explain a bit. I haven't played this in centuries. If there's an experienced DM reading this, he/she should set up a Doodle to fix a date for a campaign or even a single game, just for test. Until then, there's not much we can do. We're all players, but we need a DM. Note: @JonathanM said he created a Dungeons and Dragons Glocals group. Where is it? There's only a RPG group. Feel free to add yourself, it will make it easier to figure out the groups. You can put your rough weekly availability (e.g. if you can play in the weekends and/or during the week), and you can also select if you are willing to DM. We met on reddit about starting a DnD game here around geneva. I set up a doodle with people's availabilities and I think Tuesdays evenings seem to be the time for people. Would you be interested to join? I was thinking of having a first session to see if people would be into it and want to continue afterwards. I would be DM-ing and I think we could try playing at my place. I live 200m from the border on the French side and there are good connections with geneva either by bus or tram. Let me know if you're still interested and from what time you'd be available on tuesday. It is much easier to see who wants to do what and feel free to keep updating it. I think it's a good start, if you are a player you can contact the DM and if you are a DM you can get in touch with the available players. I believe Nicolas already started collecting availabilities and pm people. What is a reasonable male-female ratio? Something like 50/50 would be awesome, but 30/70 would be OK. I think a typical group could be 4-6 people. 8 would be a bit too much. Personally I'm only participating with the smaller groups. 4 including the Master. Hope there's one. Hi folks. I've been told about this thread from the Lausanne thread on D&D and thought I'd post here too. My name is Alp and I am the organiser of a non-profit association called SwissRPG with the goal to promote and enable role playing games in Switzerland. We're very active in Zürich and Basel, with over 300 members but we'd like to continue helping people play in Suisse Romande as well. We have great resources to offer and a vibrant and postiive community. Would anyone here be interested in being part of this ? - an organiser who sets-up regular social events (twice a month) for growing the community. - GMs to run games, ideally one shots and short campaigns so many people can play, but long campaigns are also welcome of course. What we offer is our know-how as we've been doing this for a year and we have processes in place to help. We have a vibrant and positive community on Discord where you can talk about your hobby and ask questions. Our GMs also get access to all the D&D books on DNDbeyond and a library of published adventures to run. If anyone is up for this, especially as an organiser, please let me know. I was thinking about how to organise something like that here in Geneva since a while, so your message is certainly welcomed by me! It is nice to know there is a bigger community already out there that could help out. I also sent you a PM, I am available for a more detailed discussion.